«Animal factories» illustrated quotation. Vegan, free quote pictures for Facebook, Twitter, LinkedIn, Reddit, Pinterest and other social networks. 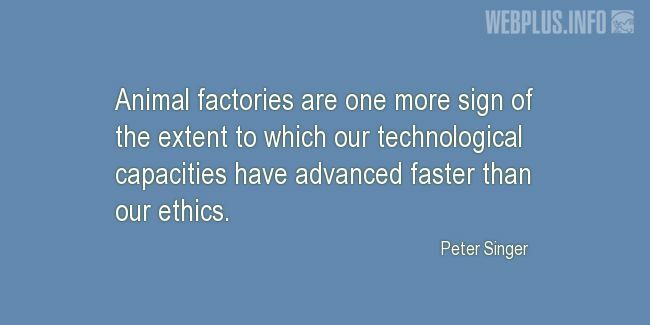 Animal factories are one more sign of the extent to which our technological capacities have advanced faster than our ethics.